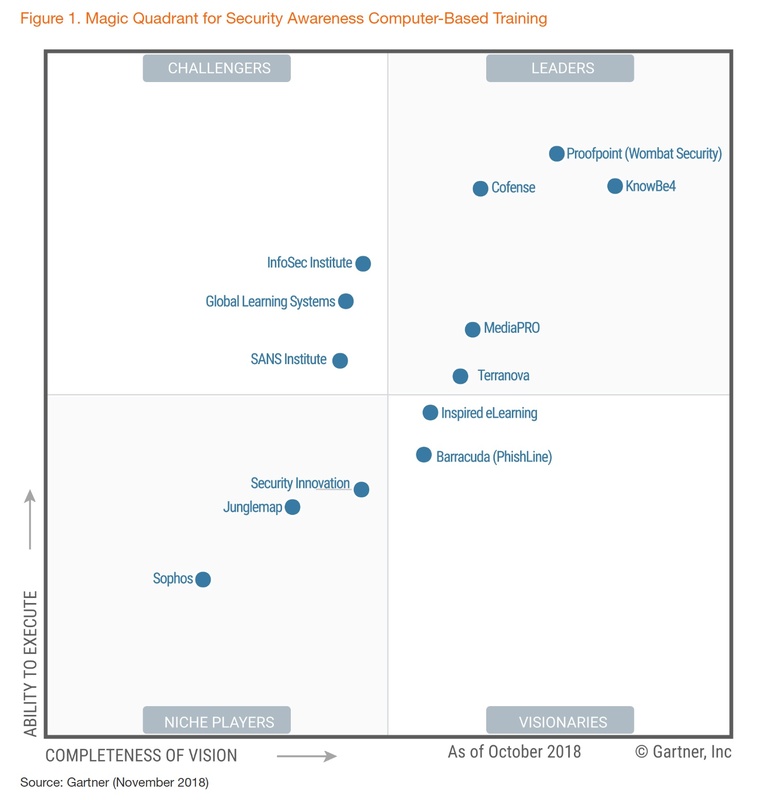 IT research and advisory firm Gartner, Inc. has evaluated different vendors in the Magic Quadrant for Security Awareness Computer-Based Training (CBT). 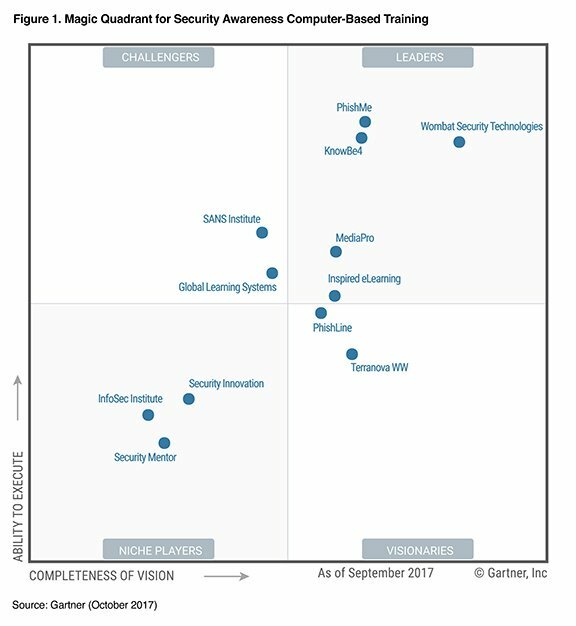 Gartner’s evaluation criteria includes market understanding, marketing strategy, sales strategy, product strategy and offering, business model, vertical/industry and geographic strategy, and innovation. What is security awareness computer-based training? 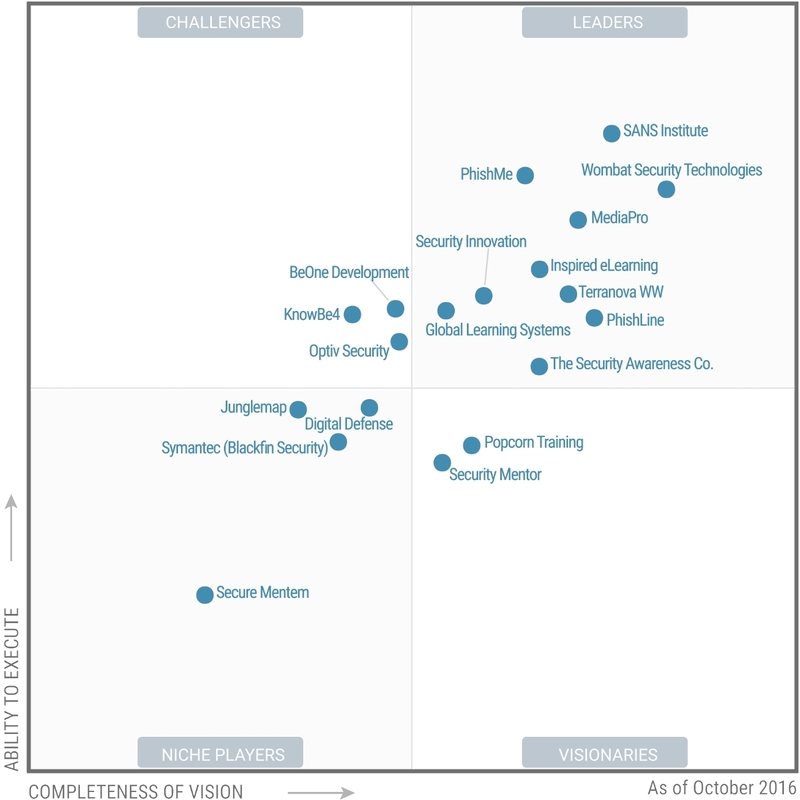 End-user-focused security education and training is a rapidly growing market. Demand is fueled by the needs of security and risk management leaders to help influence the security behaviors of people. People impact security outcomes much more than any technology, policy or process. Interactive computer-based training (CBT) is a central component of a comprehensive security education and behavior management program. It is a mechanism for the delivery of a learning experience through computing devices, such as laptop computers, tablets, smartphones and Internet of Things (IoT) devices. The focus and structure of the content delivered by CBT vary, as do the duration of individual CBT modules and the type of computing endpoints supported. The market for CBT for security awareness is characterized by vendor portfolios that include ready-to-use, interactive software modules. These modules are available as internet-based services or on-premises deployments. 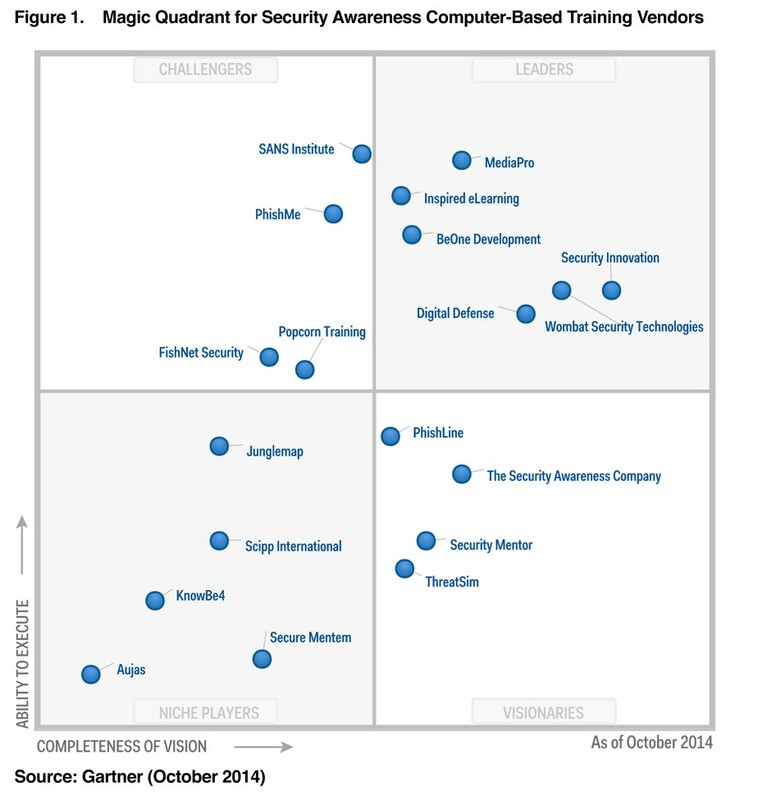 There were 10 vendors in Leaders quadrant.